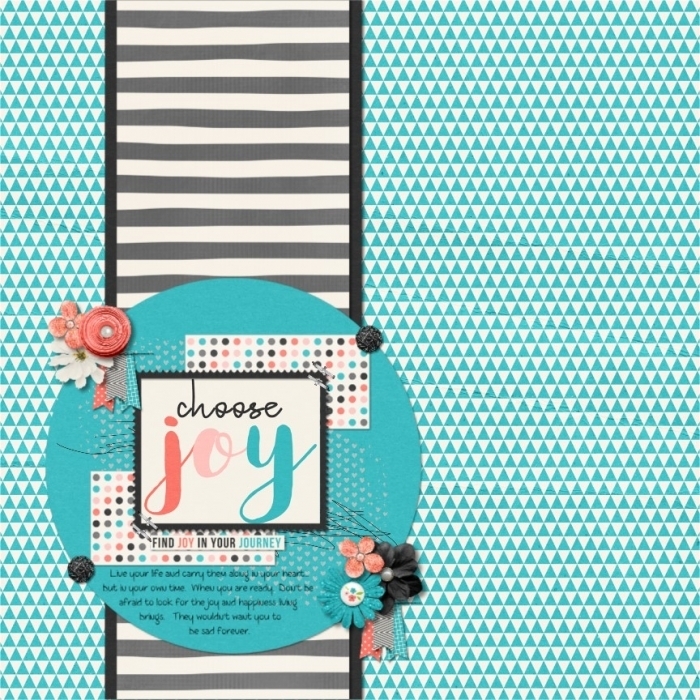 Inspiration: I was inspired by Bobbie's layout about the loss of her friend, and also by her alpha kit about joy. And how it is hard for me to allow myself to feel joy after the death of my Grandmother. Learning that there is a place for grief, but that they wouldn't want you not to live either.